So Day 4 of the shoot brought the first of the zombie set pieces. Fairfield Road was a great but difficult location. 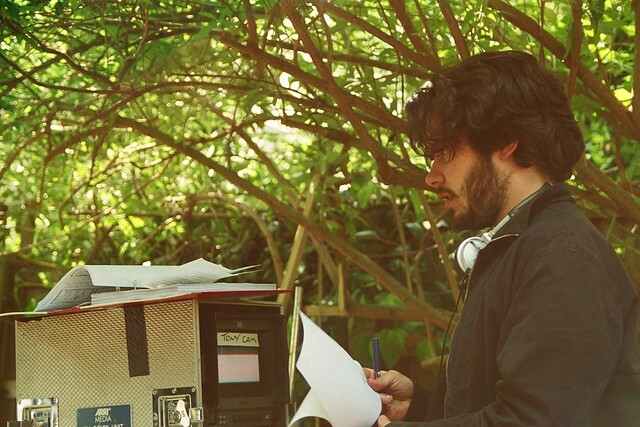 The garden was east-west facing meaning that matching the daylight during the shoot day was especially difficult and drove our DP David Dunlap to frustration. 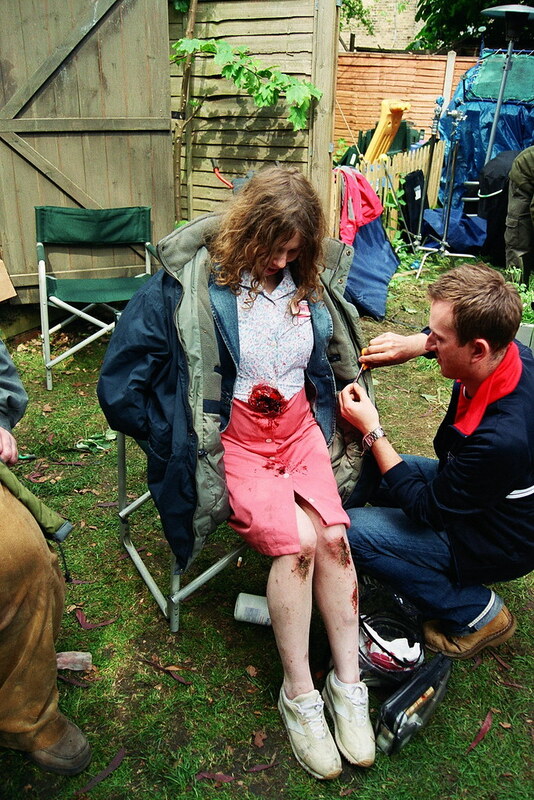 Here also is a look at Nicola Cunningham playing the unfortunate Bloody Mary. Nicola did an absolutely amazing audition where she out zombied all the other contenders by attacking me and the casting director. She’s incredible. I’m happy to report she makes a little cameo in ‘The World’s End’. We love her. Trivia fact: At the time of the shoot, the house neighbouring this garden was owned by Andy Serkis. He was not at home during our production, but said it freaked him out when he saw the film as he recognised it immediately as ‘Gail’s house’. I realise I look quite vexed at the monitor. I always look like this. It’s also worth pointing out that the weather was way better ten years ago. I miss the summer. The weather was more positive than when you filmed Hotfuzz in the city of wells my god it never stopped raining. Loving all the tidbits! I can say when i went to London in 2004,it did not rain not once! Can’t believe that this was ten years ago! I love you Edgar 🙂 Looking forward to The World’s End!